Studies conclude there are very real health risks from noise pollution – but EVs are bringing the quiet. While we’re all aware of the term noise pollution, most of us regard it as just an irritant we have to put up with. The construction site near the office, the busy road near the children’s school, the flight path roaring overhead – such noise, we tell ourselves, is the price we pay for living in densely populated environments like cities. Yet we might not be quite so complacent if we were more aware how bad noise pollution is for our health. For example, did you know that people living with an average of 55-80 decibels a day are more likely to suffer from high-blood pressure and cardiovascular ailments due to stress? Or that noise over 45 decibels at night can interfere with our sleep patterns, meaning we function less effectively during the day? Such effects were confirmed in a recent study by Imperial College London, which analysed data from 144,000 adults, reinforcing evidence from the World Health Organisation, which rates noise pollution as the second largest environmental cause of health problems after air quality. 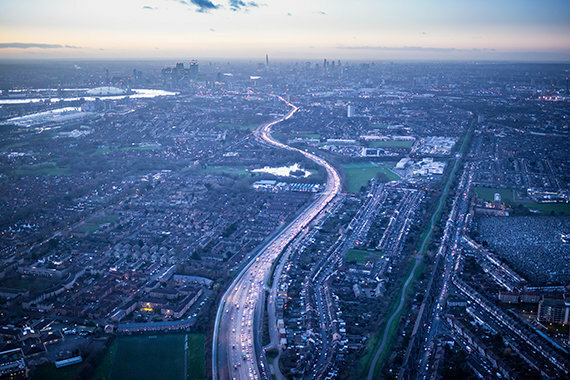 The vast majority of noise pollution in Europe is caused by vehicular traffic on our roads – about 70 percent of it, according to European Environment Agency (EEA) statistics. Around 100 million people on the continent are subject to road traffic noise in excessive of 55 decibels, with more than 32 million exposed to over 65 decibels, while a good night’s sleep is not possible for around 50 million Europeans because of noise levels.